Remote desktop software which lets you tap into a remote computer and control it through another machine is one of the key tools for an efficient support center. Here are top 9 reasons why enterprises should choose ISL Online at their prime remote desktop support service. Feel free to use it on all major operating systems and provide excellent remote assistance securely through the Internet. Access and control a Windows, Mac and Linux computer in seconds from practically any computer or mobile device available. Moreover, ISL Online even lets you support mobile devices. No, we are not the largest remote desktop provider, yet with more than 10 years on the market we surely are one of the most experienced ones. Our research of the remote desktop technologies began in 1999, while ISL Online was founded two years later in 2001, when the initial version of the ISL (“Internet Services Layer”) software application was developed. Today, ISL Online is one of the most technologically advanced remote support software solutions favoured by some of the biggest corporations in the world. In order to assist you best with pre- and post-sales questions, the ISL Online Headquarters team and our global Authorised Partners are completely dedicated to delivering the best customer support service. Be sure to get appointed the most appropriate sales and support representative according to your location, native language and other preferences. If you are looking for a little extra, the Premium Support service guarantees a two-hour response time 24×7, 365 days a year. ISL Online is based on cloud computing technologies hosted by more than 50 data centres around the world, assuring 24/7/365 availability and at least 99.95% uptime. Nonetheless, we always try to do even better every year and thus managed to exceed the SLA commitment with the average uptime of 99.98% in the past five years. You are welcome to use ISL Online either as a service hosted on our cloud, a Server License hosted on your own server, or a private cloud. The choice is yours. What to expect? 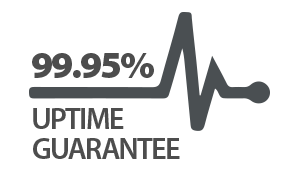 •	The SaaS is a perfect combination of excellent and easy-to-use performance with a 99.95% uptime, optimal speed and performance guaranteed. To start using SaaS, simply create an account at ISL Online and go with the flow. •	The self-hosted Server License is another great option which offers total privacy and independence with all your data kept in a closed corporate environment. It’s installed on your own server with all remote connections then established through that server. •	To add even more capacity and reliability to the completely private and independent self-hosted system, you are welcome to connect several servers into a corporate Internet communications network – a Private Cloud. Contrary to most of competitive products, ISL Online is priced per simultaneous session – the number of sessions running at the same time. The rest is NOT limited: run ISL Online software on an UNLIMITED number of computers or mobile devices, connect to an UNLIMITED number of computers, create an UNLIMITED number of operators to host sessions and connect to an UNLIMITED number of clients anywhere in the world. Plus, one license lets you use all ISL Online products on desktop computers and mobile devices: remote support, remote access, live chat and web conferencing. We address remote desktop security very seriously. This is our remote desktop security policy in short: industry-standard (SSL) security technologies are used to protect data transfer; RSA 1024-Bit Public / Private Key Exchange is used to negotiate symmetrical AES 256-Bit end-to-end encryption. In 2014 alone, three independent security audits and penetration tests revealed that ISL Online is a generally trustworthy service and provides a very high level of security. Furthermore, the leading vendor of secure connection technologies, LSE Leading Security Experts GmbH based in Germany, has also been a satisfied user of ISL Online since 2010. In their recent security report they have concluded that they will continue to trust and use the software with great confidence. “LSE Leading Security Experts GmbH will continue to use ISL Online with the confidence that security is considered to be an important topic at XLAB (ISL Online headquarters)”. ISL Online helps you build customer support service to be proud of! 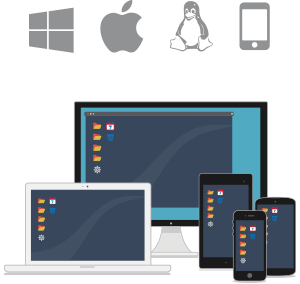 ISL Online enables you to integrate remote desktop and live chat technologies with leading third-party solutions via API (Application Programming Interface). We have successfully completed countless customisation projects and OEM integrations into service desk solutions, issue ticketing systems, ERP, CRM, etc. Strongly present in Japan (50% revenues), ISL Online has partnered with the largest Japanese system integrators to provide remote support solutions for Japanese corporate users. Our software development processes are therefore constantly subject to Japanese strict quality control requirements, in turn making ISL Online software rock-solid and fully reliable. Today, over 200,000 business users like yours use ISL Online solutions on a daily basis. Sign up for a fully functional 15-day free trial. No obligations, no credit card required. This entry was posted in corporate remote desktop, cross-platform, Integrations, isl online, remote desktop, remote desktop support, remote mobile control, service uptime and tagged corporate it support, corporate remote support, enterprise remote desktop. Bookmark the permalink.